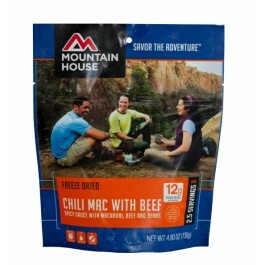 The Chili Mac with beef from Mountain House comes in a convenient 20 oz pouch. You can prepare it in just minutes by adding in hot water, and enjoy it anytime. It was specially designed to last for 25+ years on the shelf, and still taste great when you are ready to eat it. Perfect for disaster food stockpiles, or to take with you camping, hiking or traveling. 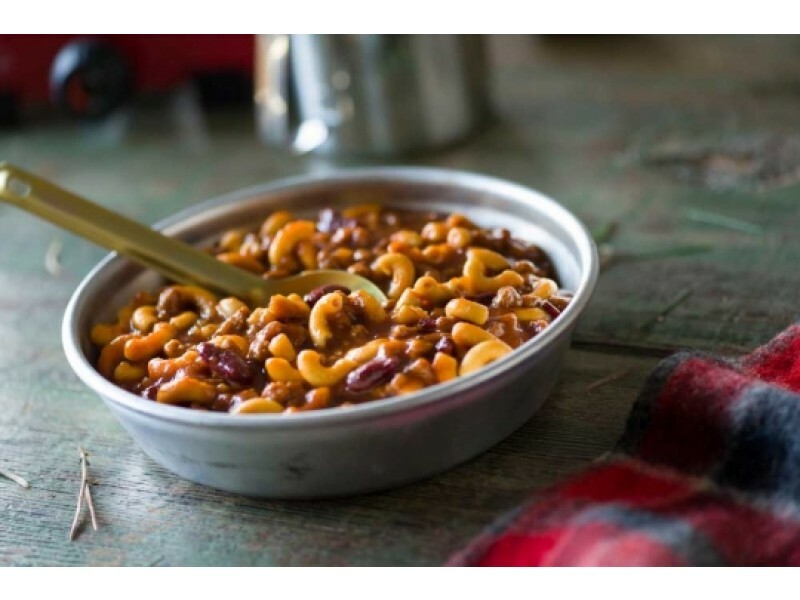 Everyone will enjoy the familiar taste of chili Mac, and with all the different nutrients, it will fill you up and keep you going all day long. 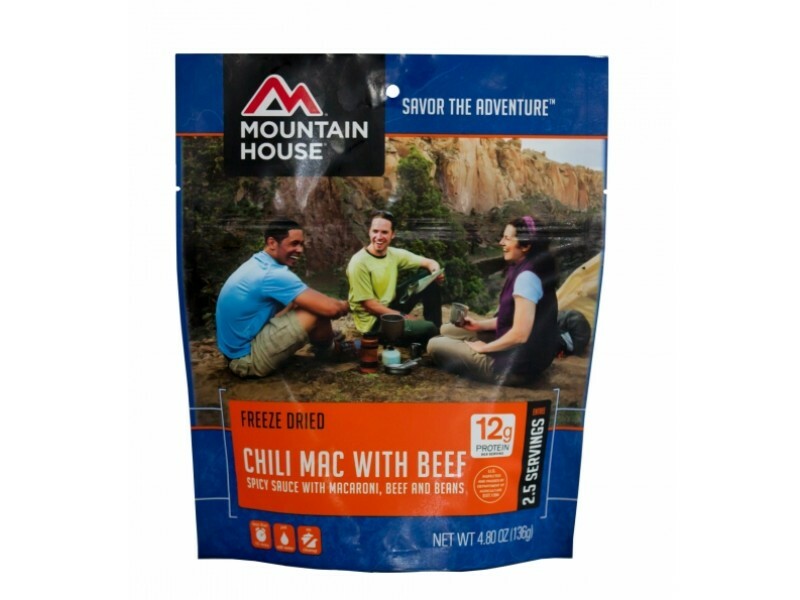 Mountain House carefully chose each ingredient for this high quality chili mac to taste great, last a long time and really fill you up. 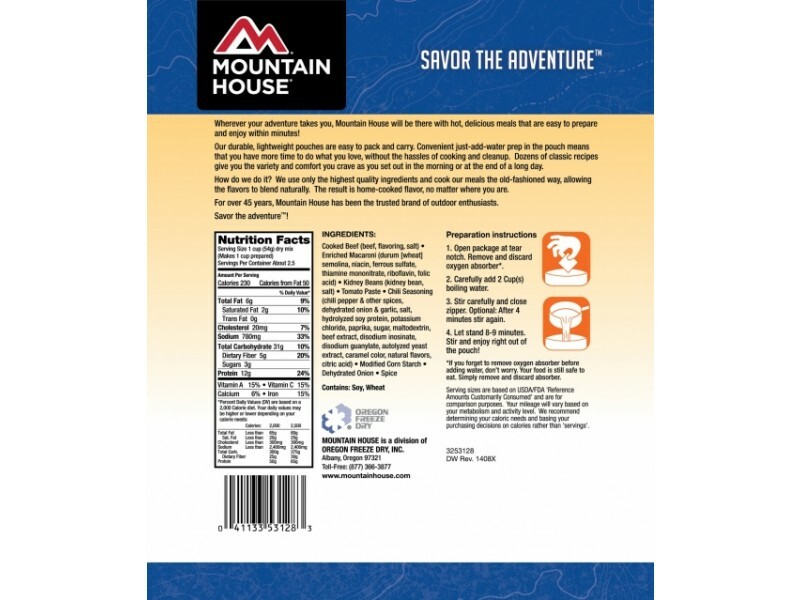 Each pouch you purchase comes with 2.5 servings, which are 1 cup each. You can use it as a main dish to a meal, or a side dish for the whole family. You can even eat it right out of the pouch if you’re in a situation where a plate isn’t available. However you choose to enjoy it, this great meal will be ready for you any time. Each serving will provide you with 12 grams of protein, 7 grams of fat and a variety of different vitamins to help keep you strong. This is extremely important for this type of emergency food, because it is typically consumed in high stress situations. Whether it is while out on a hike, or during any type of disaster, you’ll want to be able to get all the nutrients you need to stay strong and healthy. Buy one pack today to give it a try, or stock up on them so they are there for you when you need them. Each pouch makes a great addition to any food storage stockpile, and you’ll be glad you have it if you ever find yourself in any type of emergency situation. One pouch contains 2.5 1 cup servings.